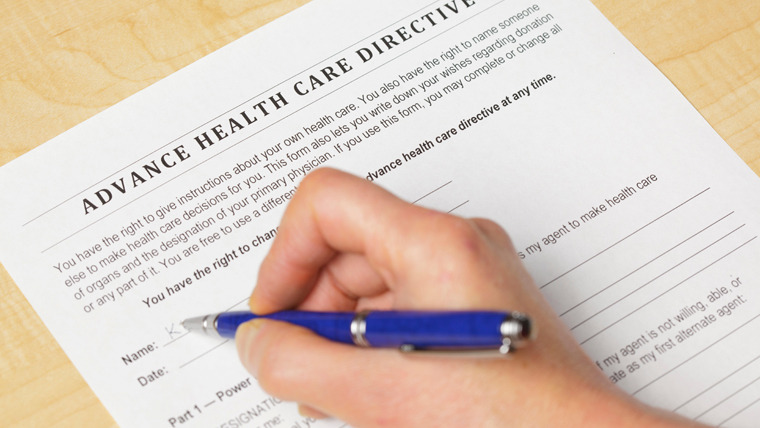 What Are Advance Care Directives? Have you thought of what kind of medical options you have available if you were too ill or hurt to express your wishes? It’s a difficult topic for many to discuss let alone take action on. And you’re in good company: about two-thirds of Americans do not have their wishes recorded. What are your legal health care wishes in the unfortunate chance you are incapacitated and can’t speak or act for yourself? The answer is an advance directive. Every adult should plan ahead by completing an advance directive that allows you to spell out your decisions about end-of-life care before the situation arises. They give you a way to tell your wishes to family, friends, and health care professionals and to avoid confusion later on. Still asking yourself if you need an advance directive? Death is inevitable but research has shown that 80 percent of us will die in a hospital or a nursing home, where medical technology can now prolong life as never before. The quality of that life, however, may be greatly reduced. As a result, many patients, families, and care givers face difficult questions about how much technology to use when the patient cannot get better, but dying can be prolonged. That means most of us will face a decision about whether to use life-sustaining medical treatments at the end of our lives. If we can’t speak for ourselves at that point, other people will have to make that decision for us. Making decisions that can result in a patient’s death is difficult and painful for loved ones and care givers. If your loved ones don’t know your values and wishes, the decision is even harder to make. Without information about your wishes, serious conflicts can arise between your family members and medical care givers or within the family itself. There are two types of advance directives: a living will and a medical Power of Attorney (POA). A living will is a legal document that states your preferences regarding the type of medical care or treatment you want to receive (or don’t) in different scenarios if you are incapacitated and cannot communicate. Also known as a durable POA for health care or a health care proxy, the medical POA names another person, such as your spouse, daughter or son, to make medical decisions for you if you are no longer able to make medical decisions for yourself, or you are unable to communicate your preferences. Note that a medical POA is not the same as a standard POA, which gives another person the authority to act on your behalf on matters you specify, such as handling your financial affairs. So what can you do? Most importantly, you can tell your family, friends and health care professionals what kind of health care you would want or who you want to make decisions for you if you’re too ill to speak for yourself. Now if you take the leap and get an advance directive created, what do you do with the document? Keep the original copies of your advance directive where you can easily find them; keeping it with your other important documents (POA, will) is a good idea. Make multiple copies and remember to give them to your health care proxy, health care providers, hospital, nursing home, family and friends. Carry a card in your wallet that says you have an advance directive. And, like with other important documents, review your advance directive each year. An update may be necessary. In no way does this article presume solid legal advice. It is to serve as a consumer guide in the complicated world of long-term care and financial strategies. It is best to consult an elder law attorney who can properly advise and draw up the necessary legal documents. I would highly recommend Larry Weiss. He kept all his appointments and answered all of my questions. We value Larry highly as well as the services he provides. We really enjoyed working with Larry. They were a lot of fun and were great at giving us the advice we needed. Not only has our estate been protected, it has given us, and dad, peace of mind that he will be taken care of during this process. Do You Need A Personal Care Plan? Do Millennials Need Estate Planning? This website (the “Website”) is a service made available by Elder Advisers (“Provider”). This Website provides general information related to financial issues faced by many elderly persons. This Website does not provide legal advice and Provider is not a law firm. None of Provider’s employees, agents, or representatives are lawyers and they also do not provide legal advice. Although Provider goes to great lengths to make sure information provided is accurate and useful, Provider recommends that you consult a lawyer if you want legal advice. No attorney-client or confidential relationship exists or will be formed between you and Provider or any of Provider’s employees, agents, or representatives.